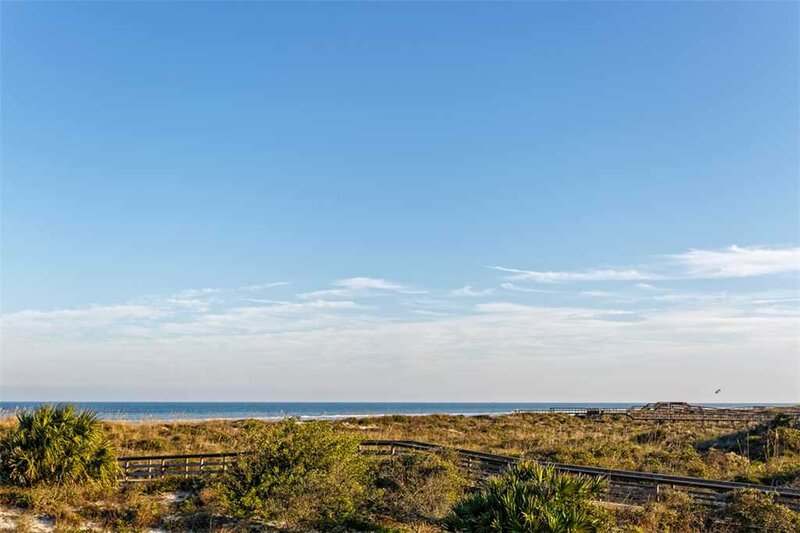 St. Augustine Beach offers a beautiful coast, local shops and restaurants, and fun for all ages. 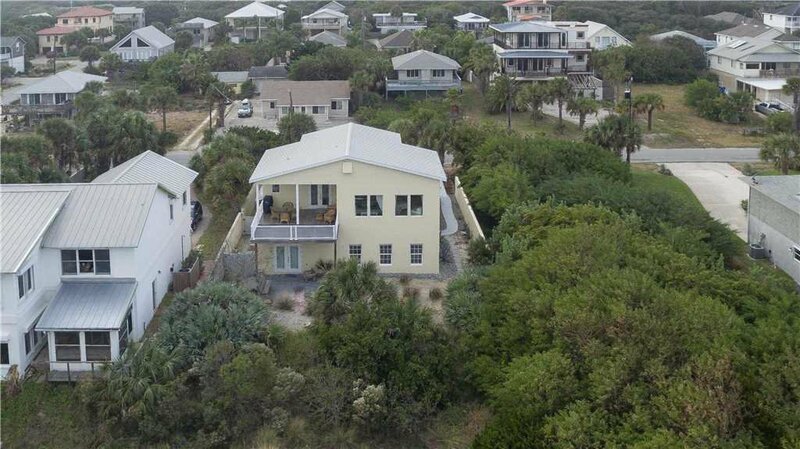 Beach Retreat is a beach front house located in St. Augustine that features five bedrooms and three and a half bathrooms that sleeps ten guests. 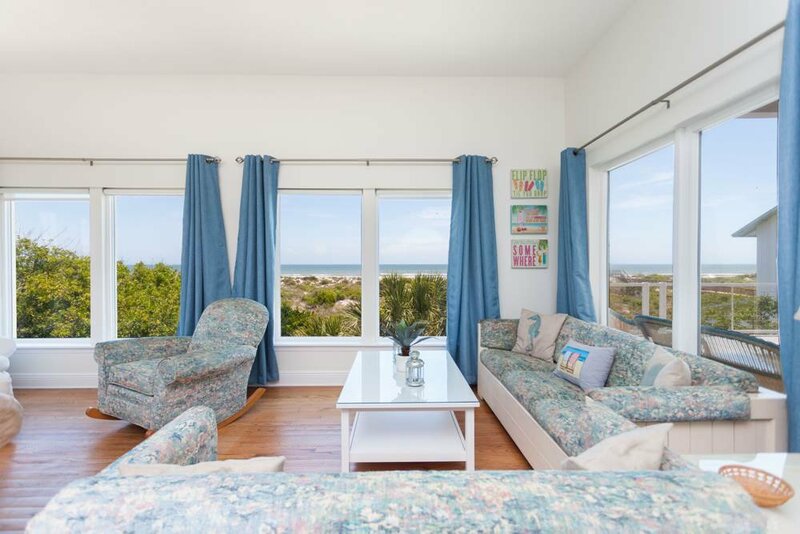 Enjoy the beautiful ocean view, the lovely second floor balcony with a view, free WiFi and the convenient location. 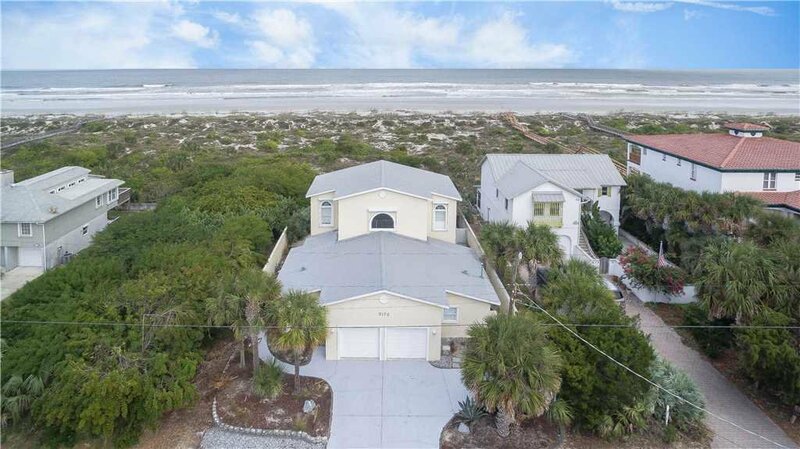 Beach Retreat will provide the perfect home away from home during your St. Augustine Beach vacation! 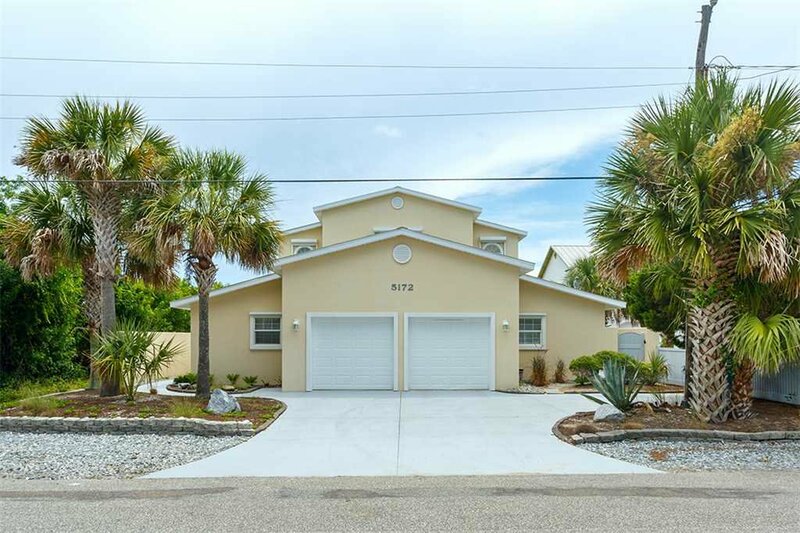 This home is perfect for larger families or multiple families. 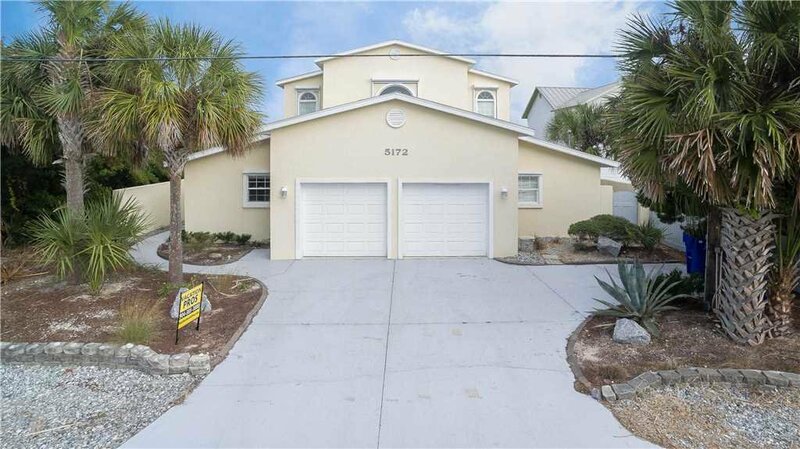 When you arrive, you will notice the two-car garage and large driveway. Beach Retreat is the perfect beach front home! 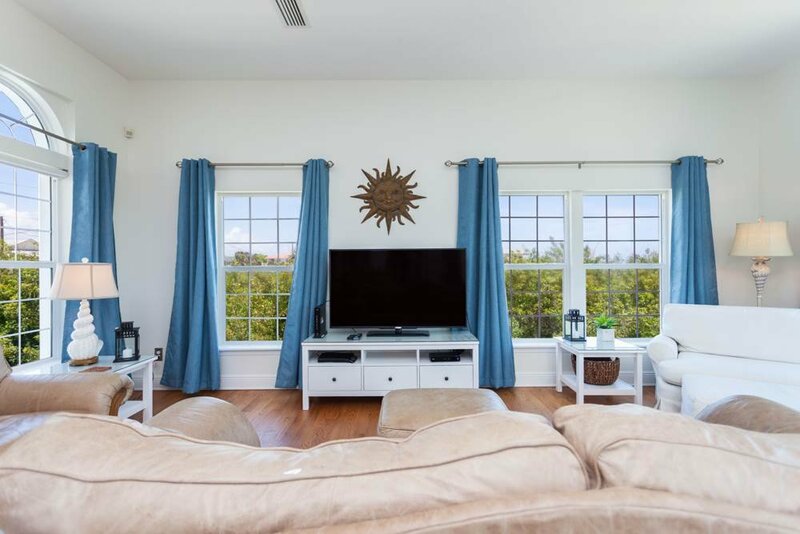 The main living space is located on the second floor and features large windows allowing you and your guests to take in the gorgeous view and floods the interior with a ton of natural light. The living room offers two seating areas consisting of two sofas and chairs to accommodate all guests. 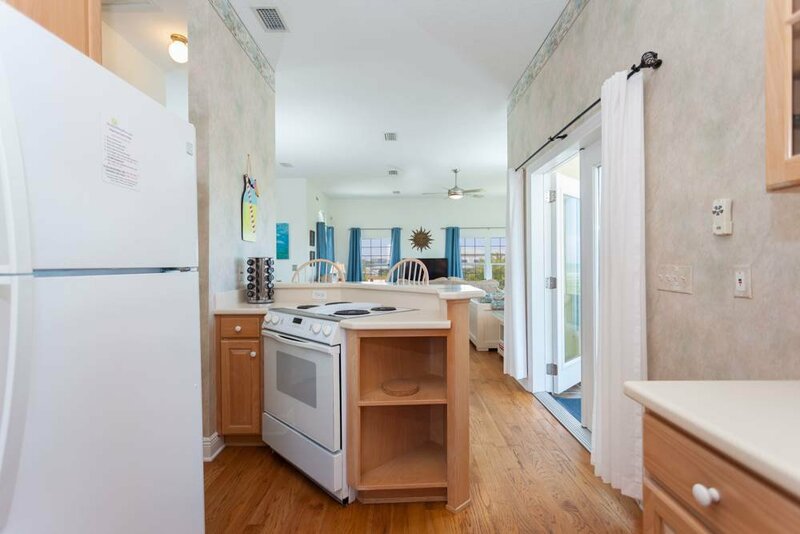 The open concept allows the living area to flow into the dining area and kitchen. 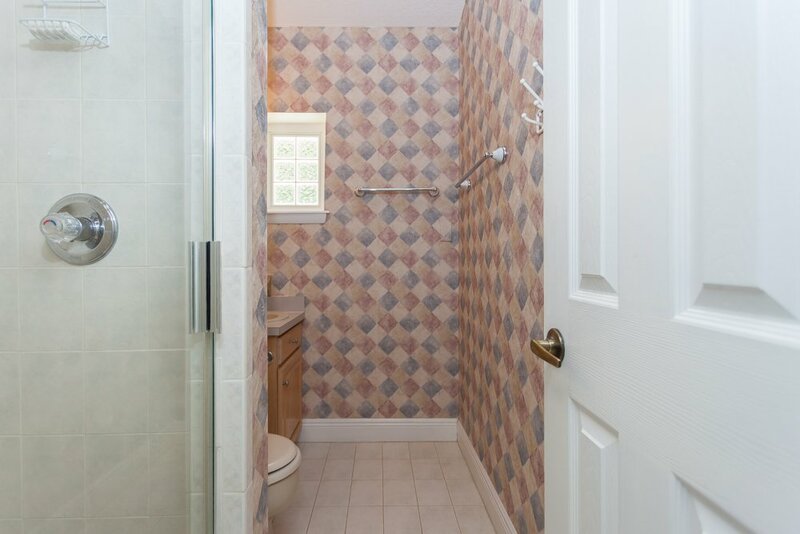 This home allows you to entertain your guests with ease. 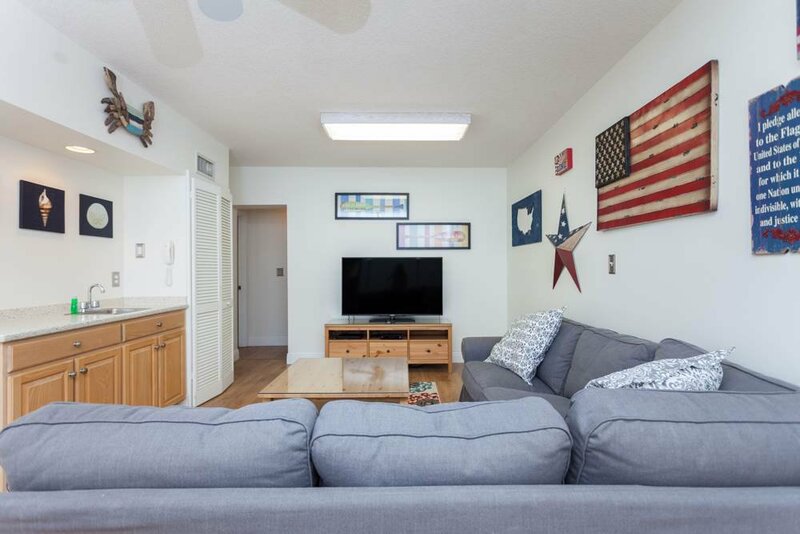 A second living space is located on the first floor with a large sectional sofa and flat screen television. 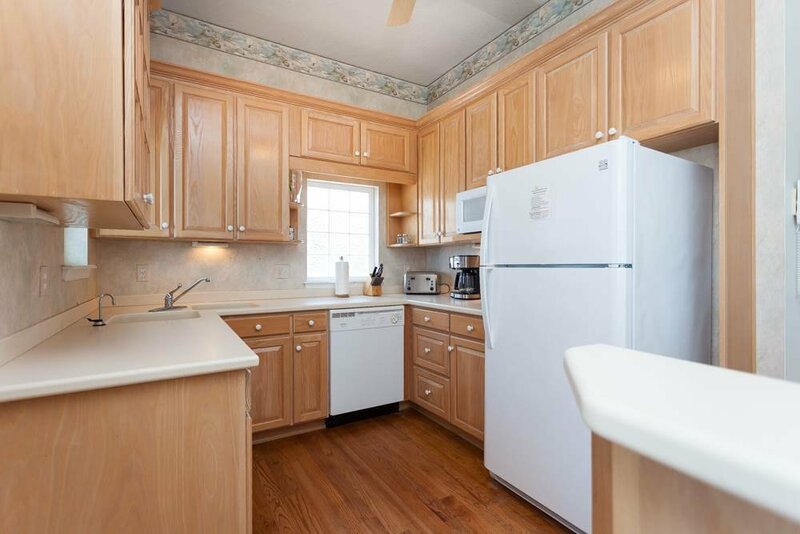 The kitchen features white appliances and a great amount of counter space. 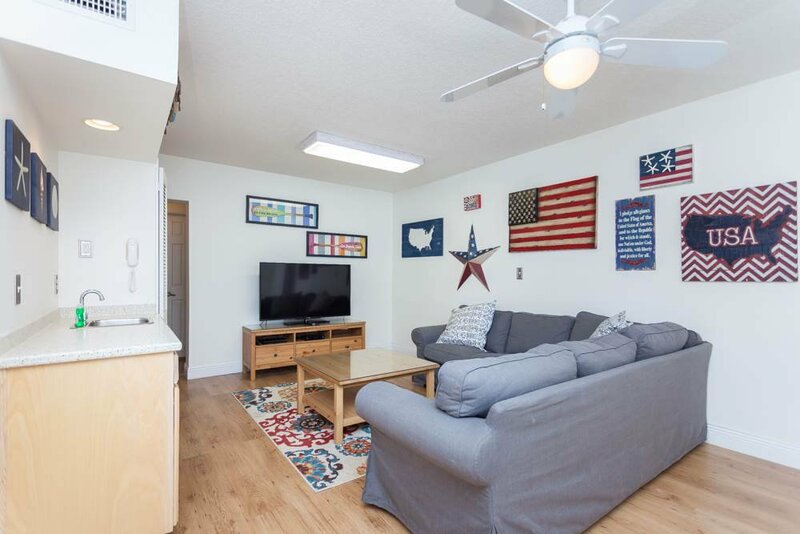 It is fully equipped with a dishwasher, microwave, refrigerator and freezer, stove top with oven as well as cooking and eating utensils to cook up some delicious meals during your stay. 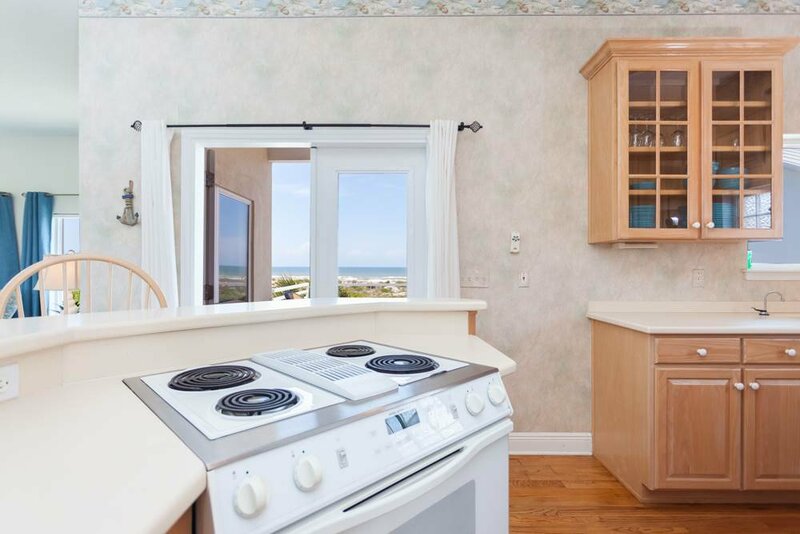 You will be able to cook your favorite meals while enjoying your time at St. Augustine Beach. 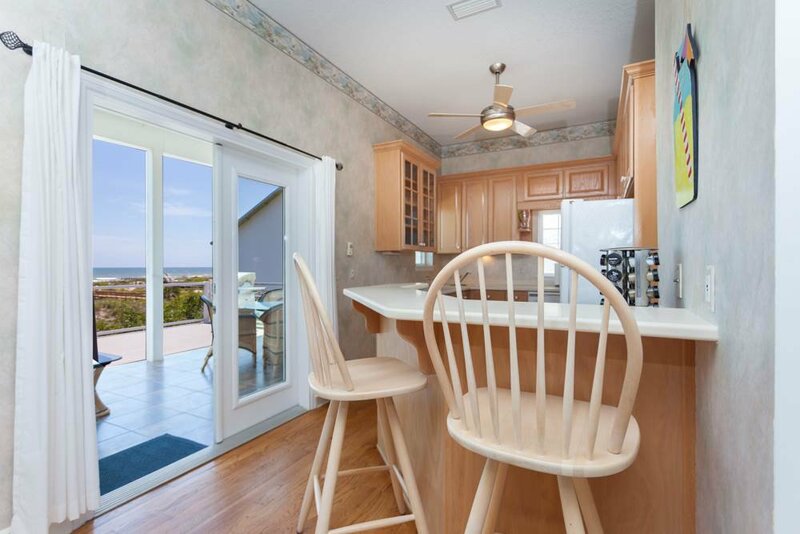 The breakfast bar provides seating for two to enjoy your home cooked meals. The additional dining table provides seating for all of your guests. 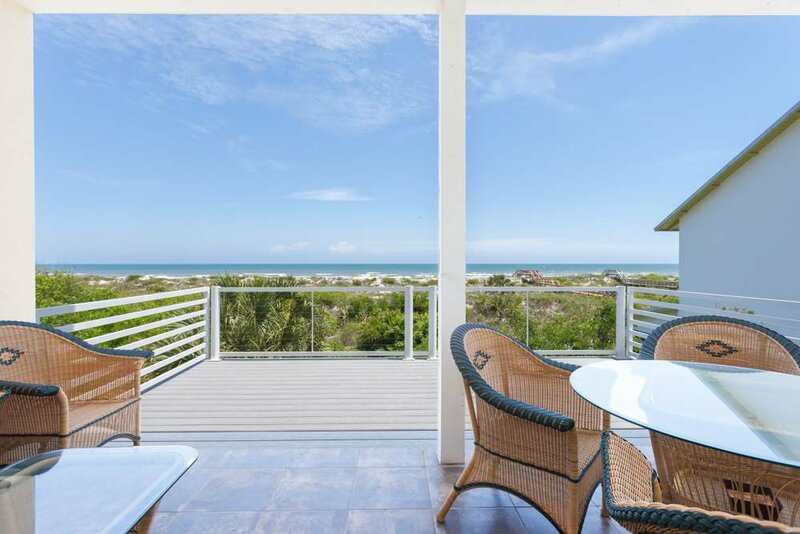 The balcony offers the perfect spot to breathe in the fresh Florida air and watch as the sun sets over the Atlantic. 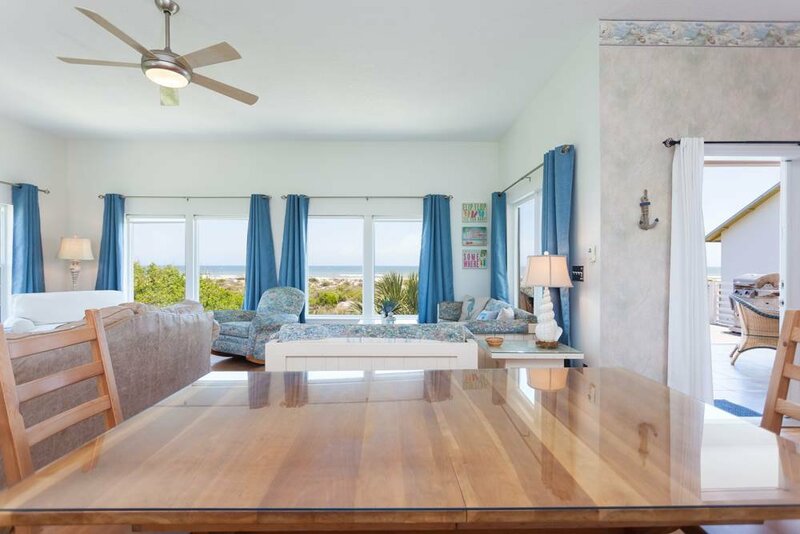 Take in the view of the ocean for as far as the eye can see! 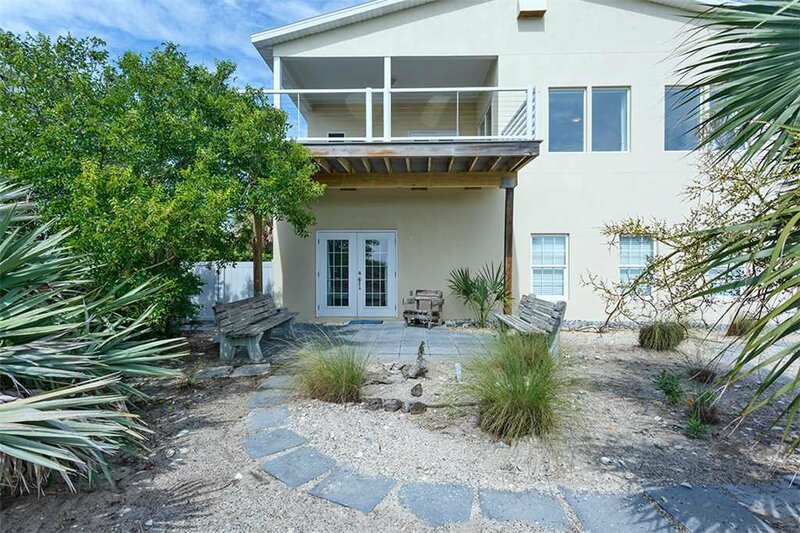 This home provides seating on the balcony to allow you to sit back and relax after a long day in the sun. 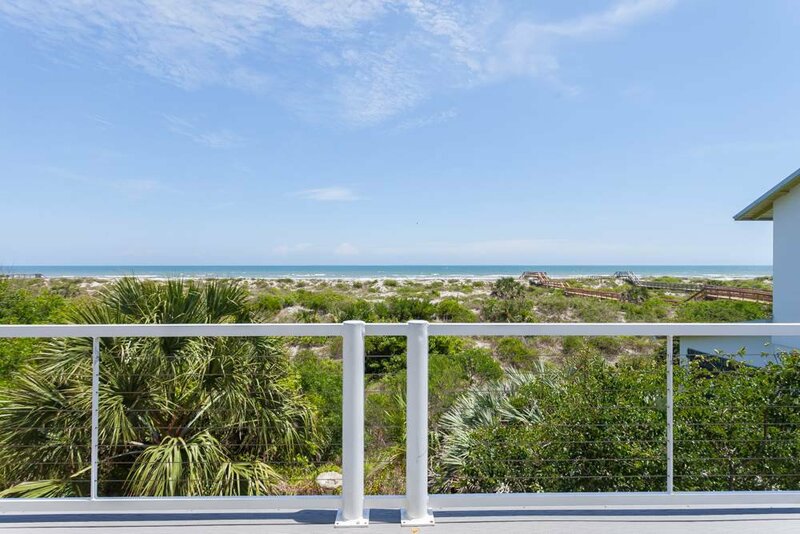 The balcony at Beach Retreat is one of the best parts of this home! 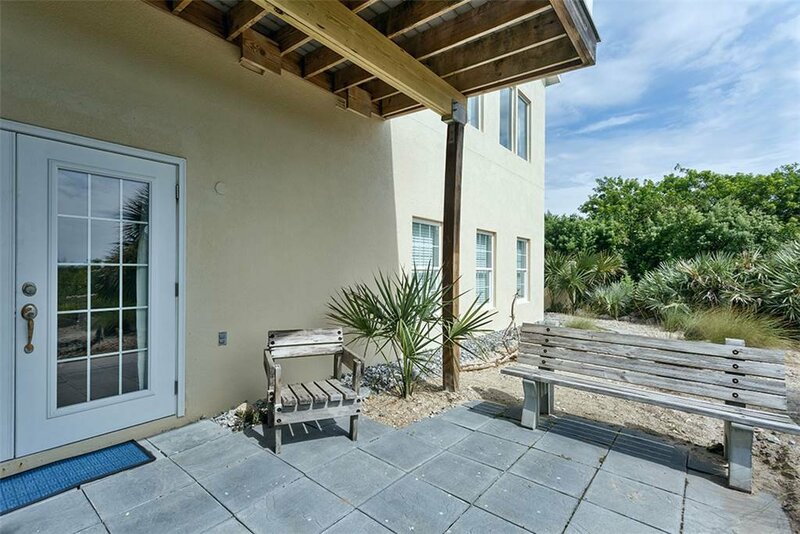 If you are looking for additional outdoor space, you will love utilizing the ground level patio. 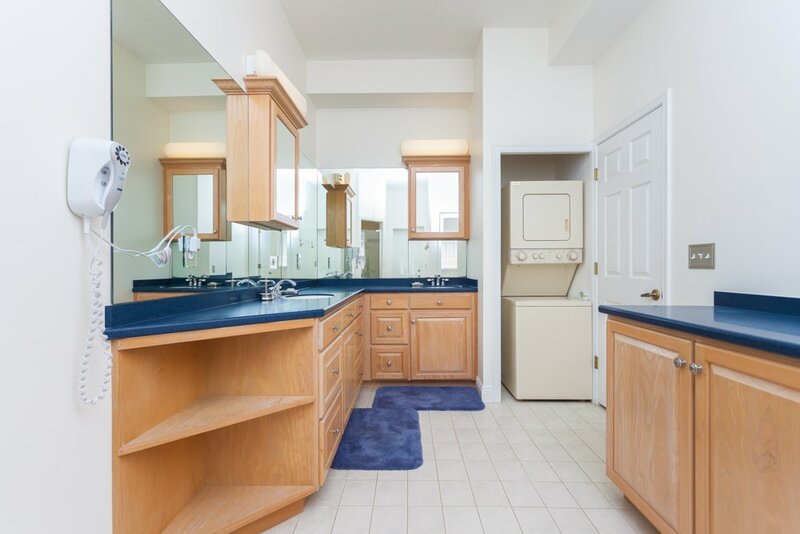 The perfect spot to let the kids run free and burn off extra energy. 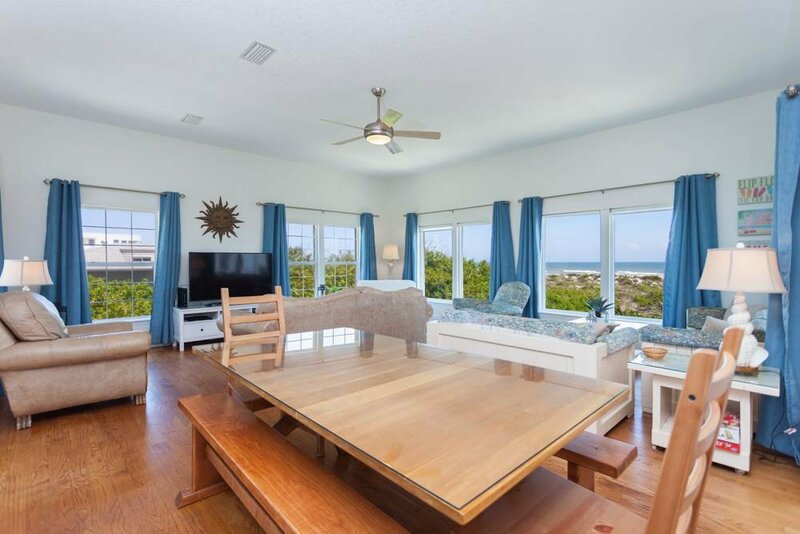 Beach Retreat features a large master bedroom with a king bed, loveseat, television, and large in-suite bathroom. 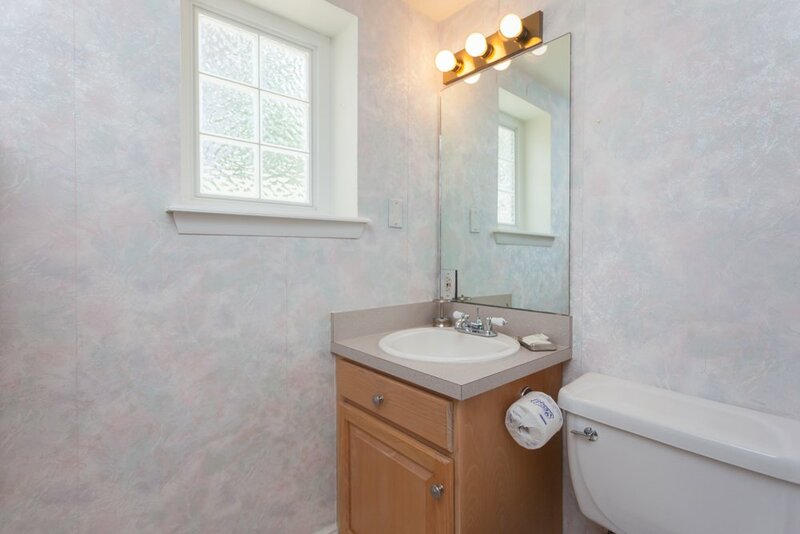 A washer and dryer are also located in the master bathroom. 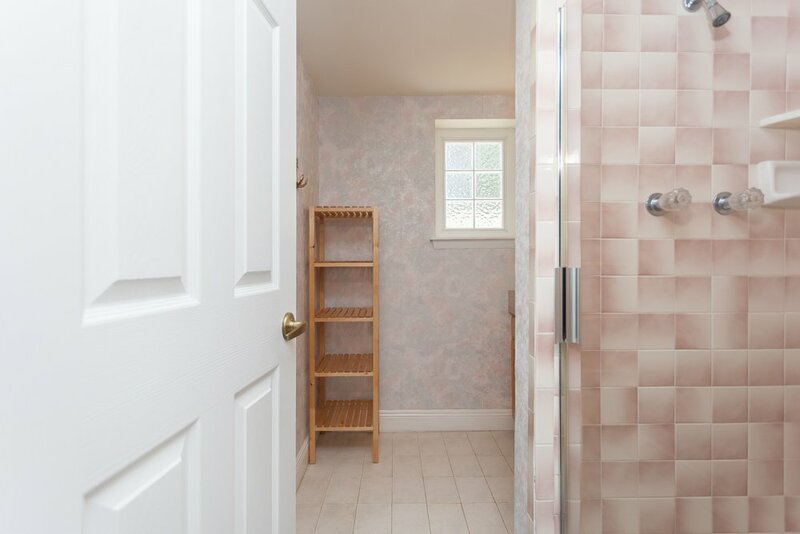 There is plenty of space to make yourself feel right at home. 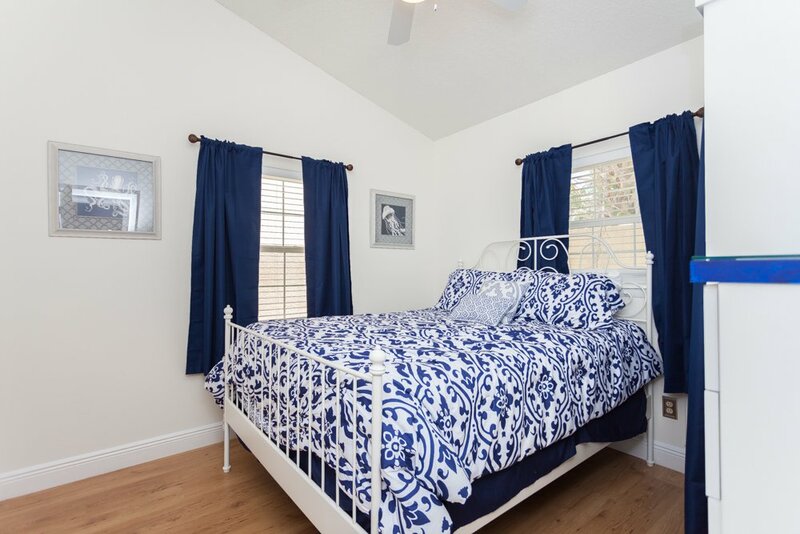 A second bedroom provides guests with a queen bed and privacy from other guests. 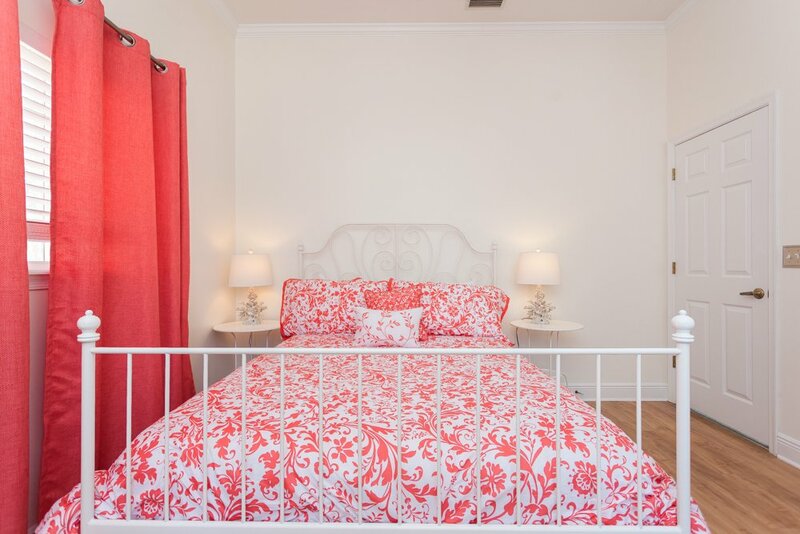 The third bedroom offers another queen bed for guests to get a great night of sleep. 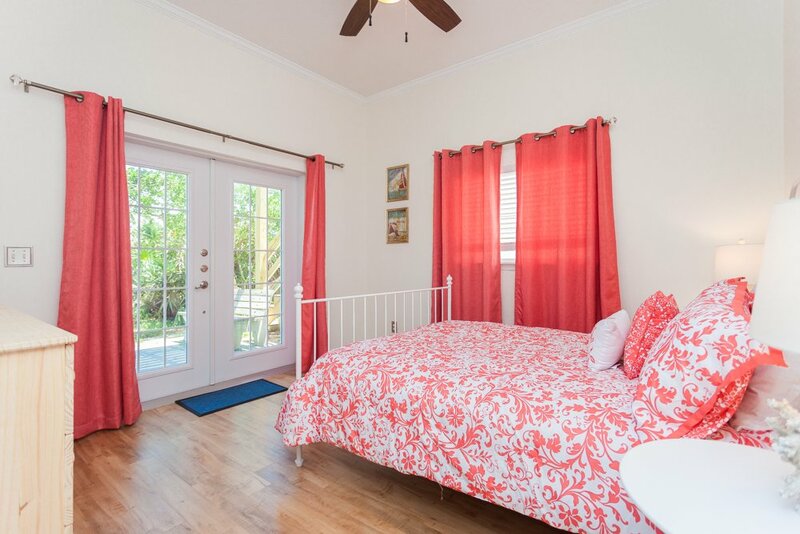 There are French doors that lead to the outdoor patio accessible from this bedroom. 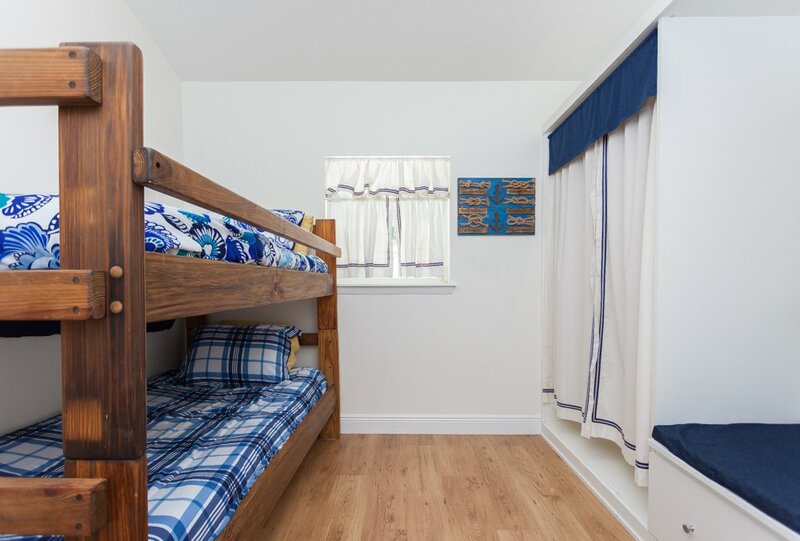 The fourth bedroom is the perfect spot for the kids to call home as it provides twin bunk beds. 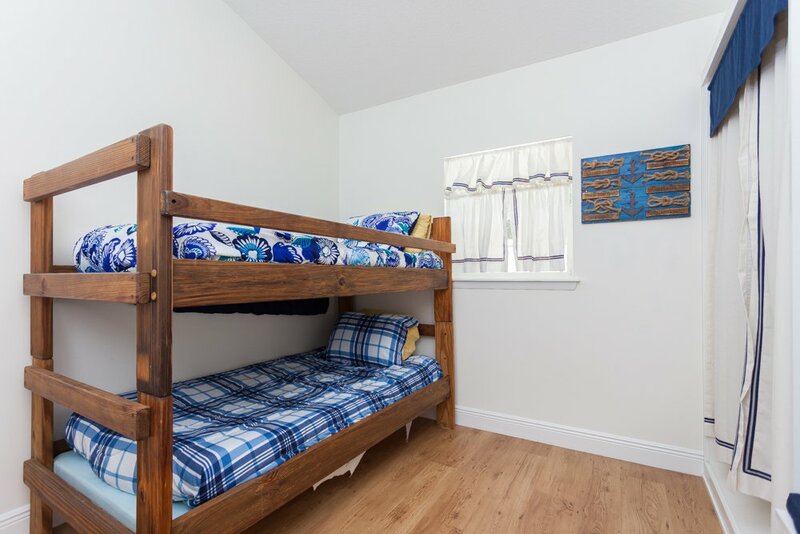 The fifth bedroom offers another queen bed and space to feel right at home. 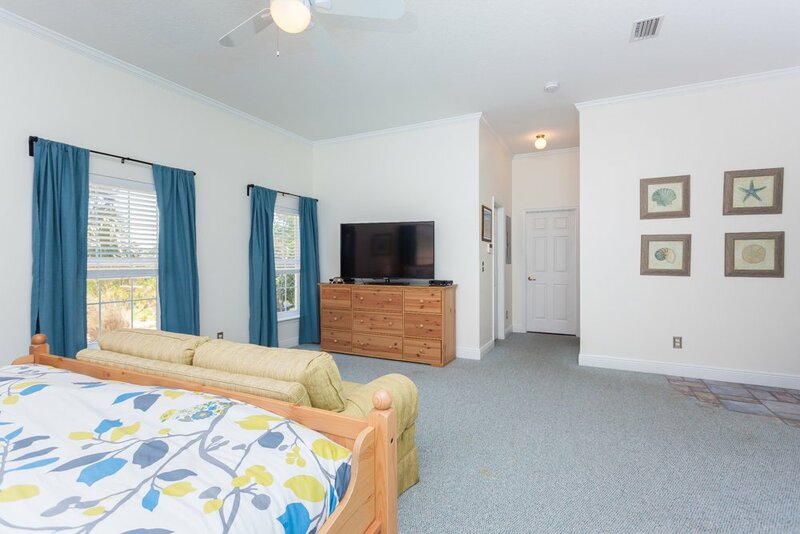 Beach Retreat has two additional full bathrooms and a half bath. 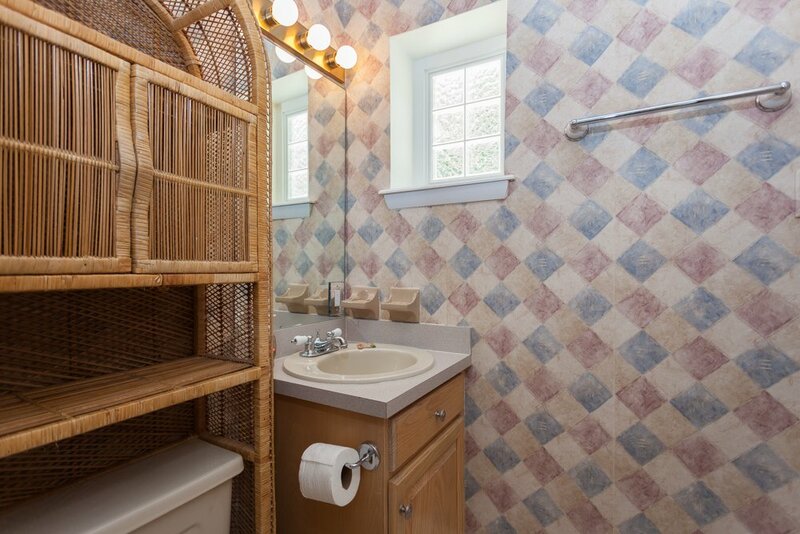 Enjoy the convenience of multiple bathrooms providing guests with great accommodations. Bed linens and towels are provided for all guests to use during your stay. 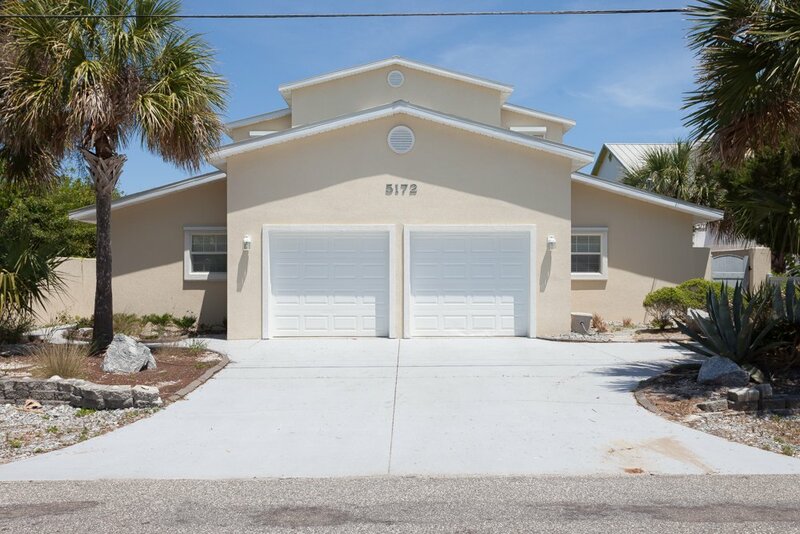 Beach Retreat is located right on St. Augustine Beach. Take short walk out the back door and you will find yourself ready to throw down you towel and hit the waves. 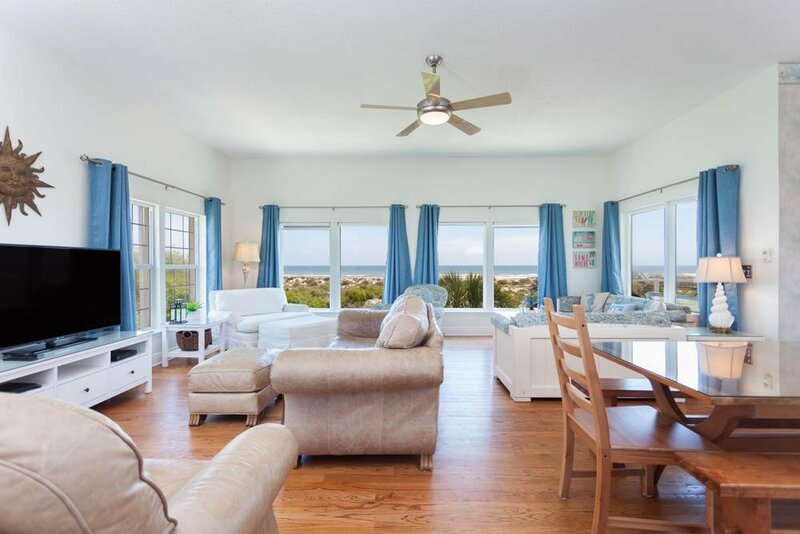 You and your guests will love being located right on the beach and eliminates hauling all the beach gear to and from the beach. St. Augustine offers plenty of local shops and eateries! You will also find plenty of outdoor activities including boating, fishing and sight-seeing. A beautiful city with plenty to do! 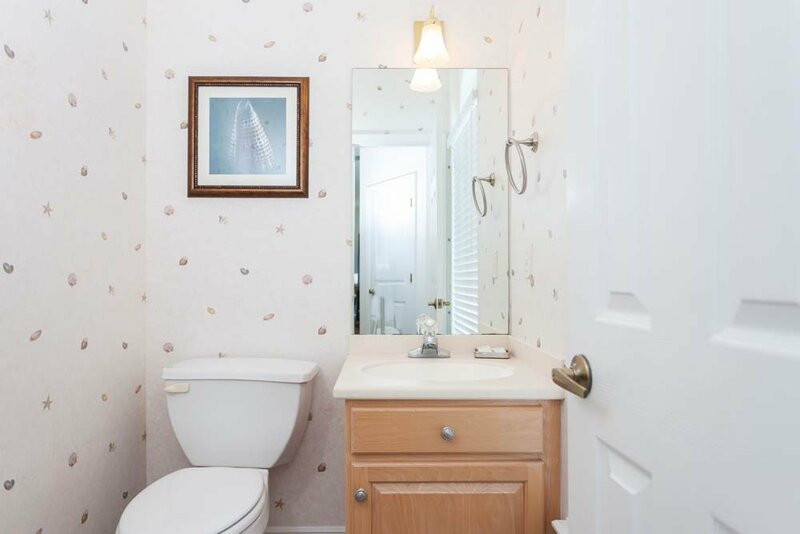 This home is charming and immaculate. 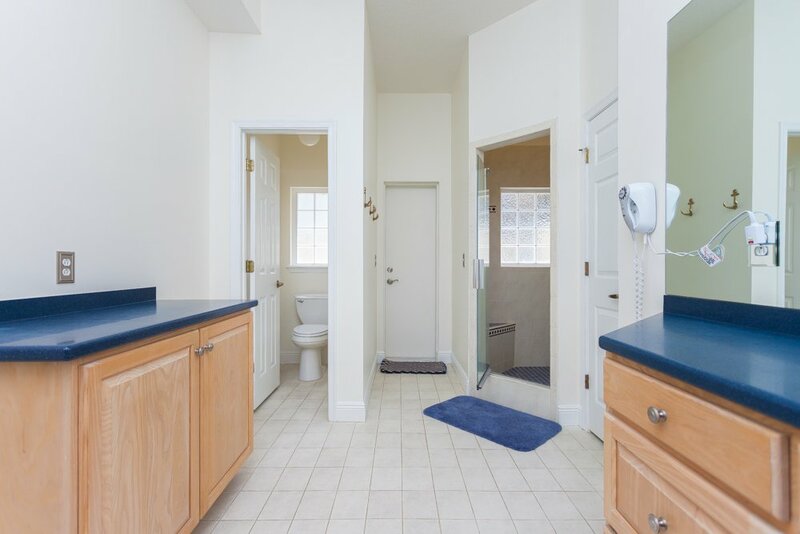 You will feel right at home from the moment you step into this wonderful home. 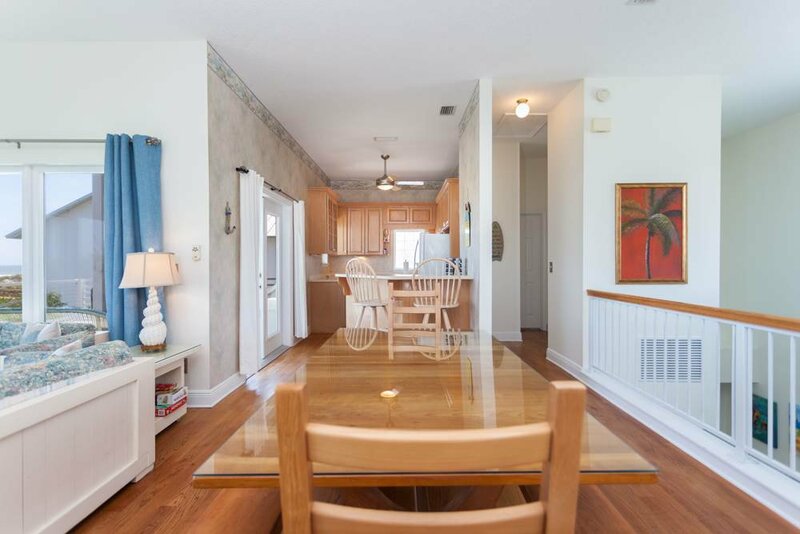 Featuring an open concept and plenty of space, you and your guests will have room to stretch out and enjoy your vacation. 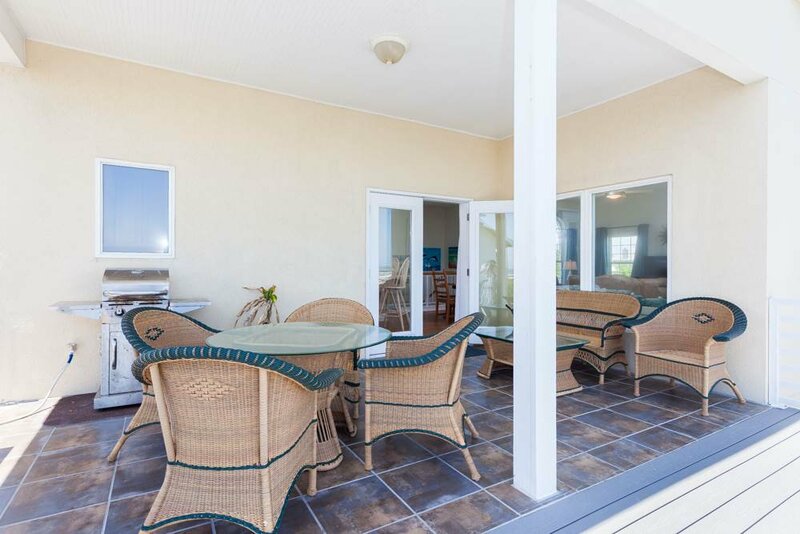 Beach Retreat is within walking distance to the beautiful beach and the sparkling water. If you encounter a rainy day during your time at St. Augustine Beach, check out the shops located nearby. 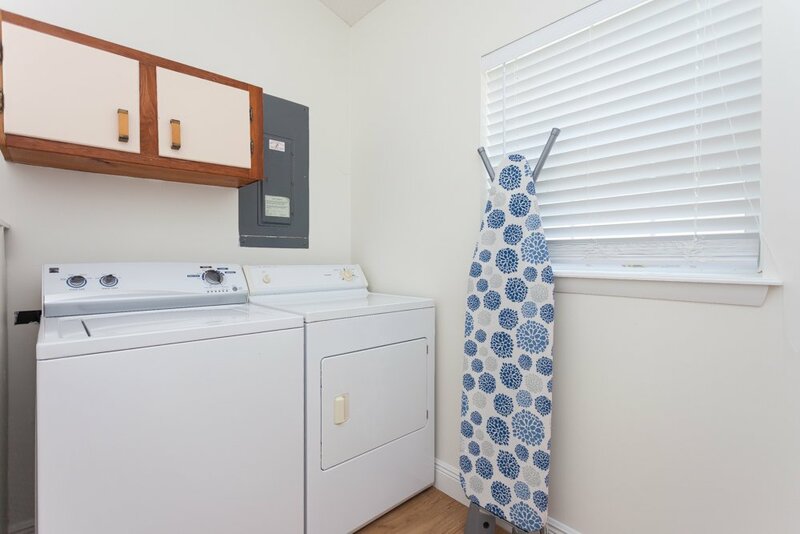 A full size washer and dryer are also available for you and your guests to keep the beach towels dry and ready for the next day of beach adventures! 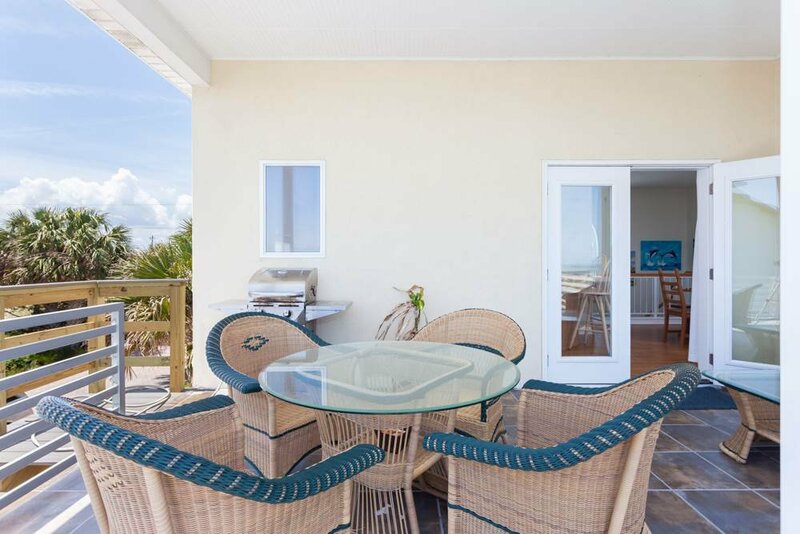 Beach Retreat is the perfect place to call home during your beach vacation. 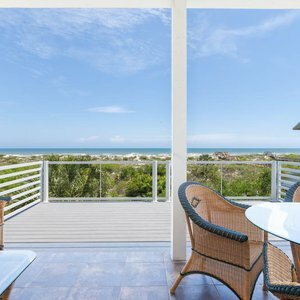 The location and the balcony with a great view will allow you to truly enjoy your stay while in St. Augustine. 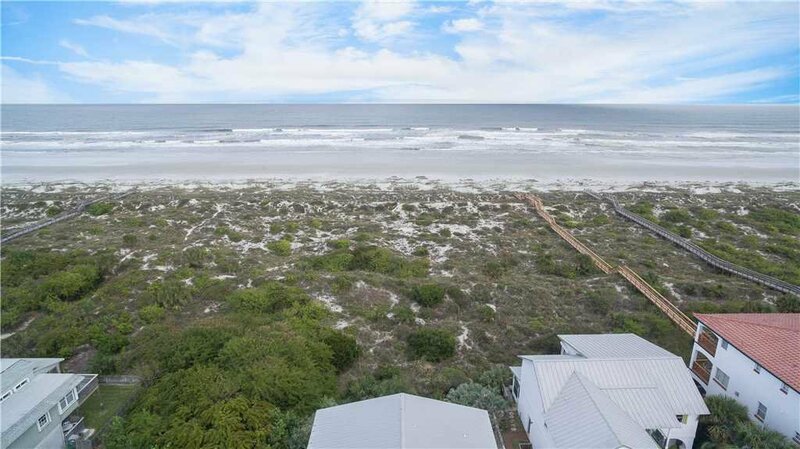 St. Augustine Beach is the perfect vacation spot any time of year! 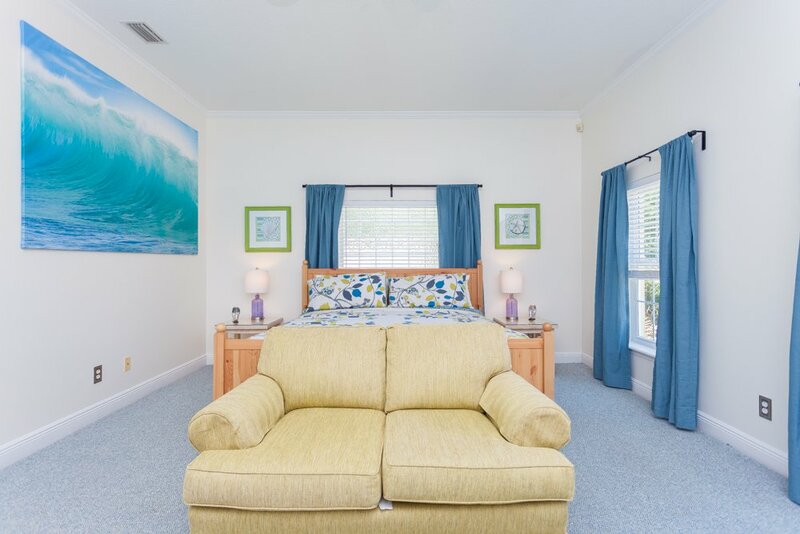 You and your guests will love all the activities nearby, the beautiful sandy beach, and the easy walk to the beach. 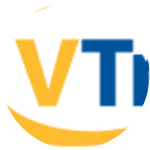 Are you ready to book a vacation to remember? 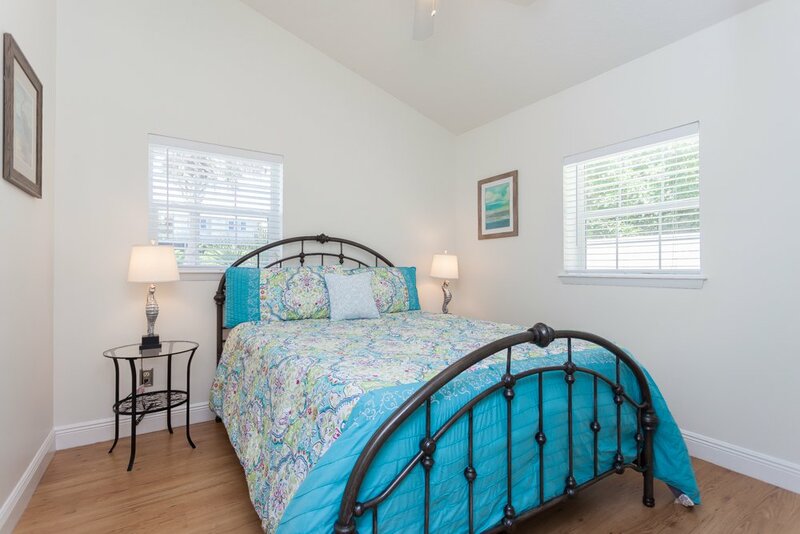 Call right now to book your stay at Beach Retreat!